As I indicated in yesterdays post I have finally printed some of the numerous unfinished designs that have been sitting around on the ‘to do list’ for in some cases years! So here are the black and white versions- can’t wait for the ink to dry and starting playing with some colour ideas on these 2 works – I already have the framing ideas. Firstly is the set of 12 tawny expressions. 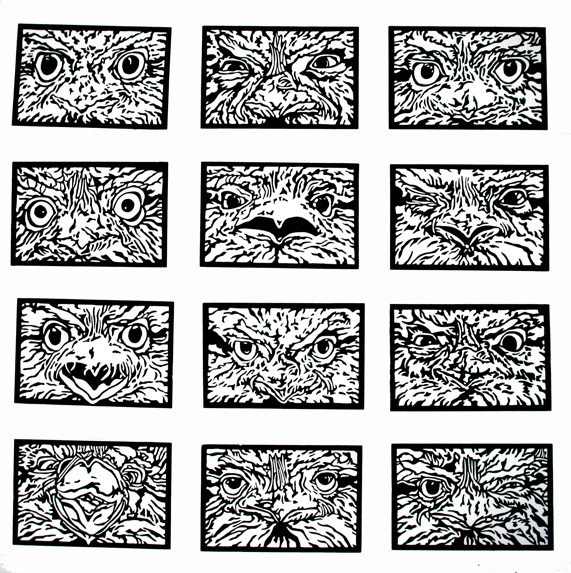 These started as drawing studies of Tawny Frogmouths which I couldn’t resist taking into linocut designs. 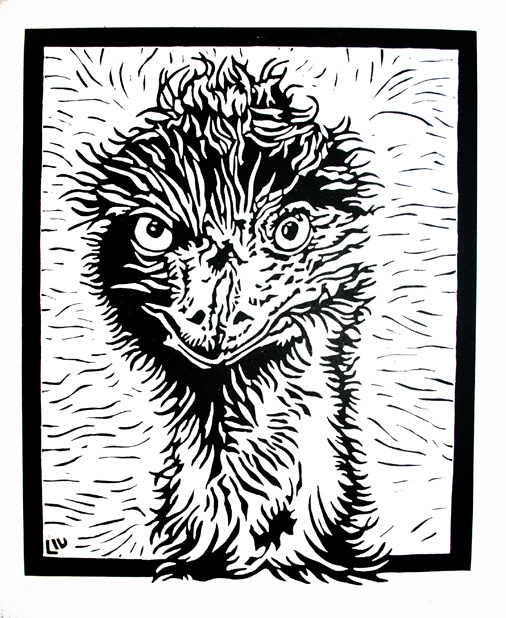 The second is a madcap emu that was originally what I considered a less than successful drawing. 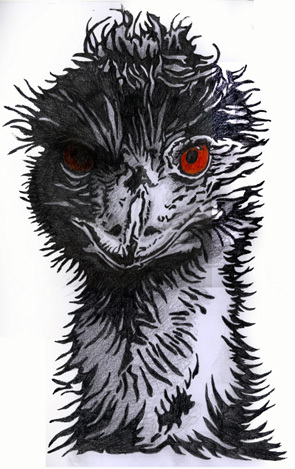 In the end I went for the slightly unhinged quality of the drawing – especially as emus seem to have this quality about them. As for the design I decided to extend the lines created by the feathering into the background to add to this whole mad type impression. Any suggestions for the title of this work? “C’mon, make my day” for some reason springs to mind!! May I know more information like references and artists with the art, please?